After auditioning thousands across the nation and posing a slew of challenges at them, Zee TV’s acting talent hunt show – India’s Best Cinestars Ki Khoj, announced their winners at a star-studded night. From standing in long queues to audition for the show, to striving and outshining others week after week, Uttar Pradesh’s Syed Mamoon and Azerbaijan’s Oksana Rasulova emerged as the winners of the season. Oksana, who was overwhelmed at the win and could barely contain her happiness said, “ It is unbelievable that I am holding this coveted trophy in my hand. We all have worked so hard for over three months to achieve this and now when I am holding this trophy with my name written on it…it seems like a dream. I am really thankful to the audiences for all the love and votes they have showered on me. Coming from a different country, never did I imagine that the Indian audiences will be so welcoming and give me so much warmth and love. I fall short of words when I thank Zee TV and the judges of the show for all the guidance and love. Hoping this is the beginning of my journey to stardom”. Having mentored the contestants for over 13 weeks, the three judges were ecstatic to hear great things about the contestants from all the celebrity judges who had visited the sets. Wishing Oksana and Syed all the luck for their future, the three put up a special performance for the finale. Joining in the celebrations were the cast of the much awaited film Haider - Shahid Kapoor and Shraddha Kapoor. While the duo had a lot of fun with the contestants, they also gave them a lot of impromptu challenges and were stunned with the performances that were put up by the Top 6. Doing a jig and enthralling the audiences with their moves were dancers par excellence - Lauren Gottileb and ‘Dharmesh Sir’, who were seen cheering the top 6 contestants just before the announcement of the winner. With just a week left for its Grand Finale episode, Zee TV’s Cinestars Ki Khoj will soon announce its winners who will go on to make their debuts in a film creatively supervised by none other than the maestro Mahesh Bhatt. 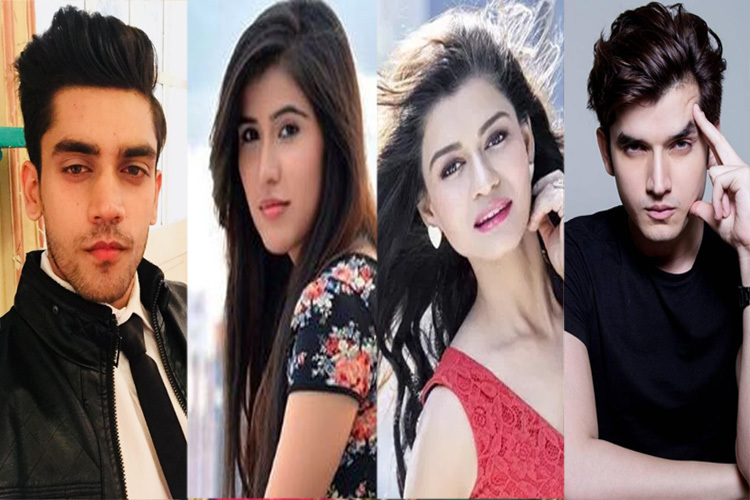 Having had their acting talent honed over the last 2 months by some of the finest experts from Bollywood, these budding actors are all set to take the entertainment scene by storm. What’s more, for the latest episode of the acting reality show, this talented bunch even made their television debut on some of Zee TV’s popular primetime soaps! Featuring in some of your favorite shows like Jodha Akbar, Qubool Hai, Sapne Suhane Ladakpan Ke, Kumkum Bhagya, Pavitra Rishta, Doli Armaanon Ki, Jamai Raja and Aur Pyaar Ho Gaya, the contestants were given a chance to play cameo roles with the lead protagonists of the show. Getting into the skin of some interesting, well-etched characters on each of these shows, the Top 8 contestants played these cameos with aplomb. Meenu Panchal played the role of a maharashtrian bai in Kumkum Bhagya. Being a Haryanvi girl, the ease with which Meenu caught on to the Marathi accent was commendable. Playing a mawali, Bhawna Dhoundiyal stepped into the shoes of a firebrand girl who fights for everybody’s rights in the show Pavitra Rishta. A tough girl even otherwise, Bhawna was seen carrying the mawali attitude with ease. While there were others who played straight-faced characters, Sayed Mamoon’s character in the show Doli Armaanon Ki, caught on with everybody as it was truly comical. Playing the character of a man who is possessed, Sayeed’s dialogues were funny and called for some hilarious facial contortions and body language on his part. Okasana was seen in a fun street sequence playing a foreigner in Sapne Suhane Ladakpan Ke while Akshay Nalawade played the role of a yodha in Zee TV’s historical Jodha Akbar. Saurabh Bharadwaj played a boy-next-door in Aur Pyaar Ho Gaya and Vikram Chatterjee played a corrupt Police Inspector in Jamai Raja. Much appreciated by the creative teams of the shows they had performed cameos on, these Top 8 contestants will be seen in an episode in each of the shows. With the show nearing its finale, we hope that the audiences shower them with votes and we hope the best wins. India’s Best Cinestras Ki Khoj air every Saturday and Sunday from 9 – 10 PM on Zee TV.